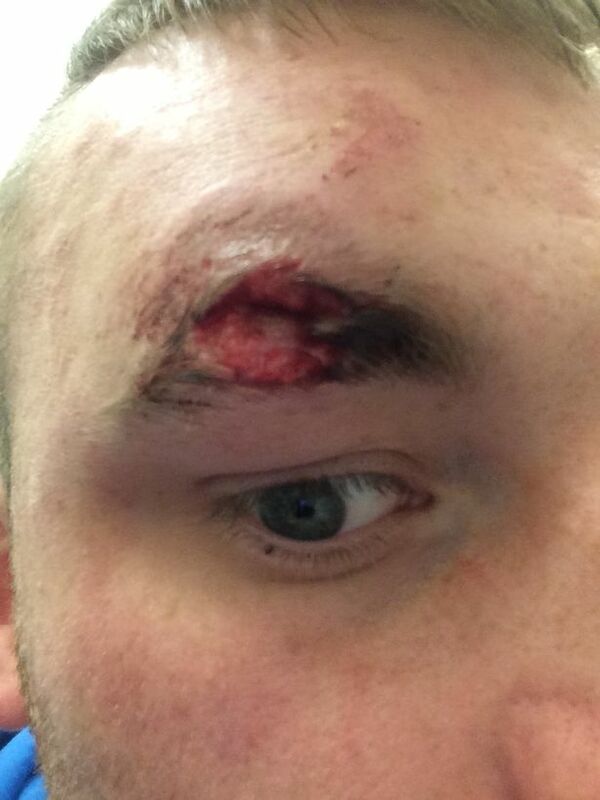 These are the horrific injuries a man suffered when a thug bit off part of his eyebrow in a city centre attack outside a takeaway. Violent Michael Sancaster, 33, was drinking alone at the Eazy Street bar but was thrown out after he began to bother a woman on a hen party. He decided to go to the Magic Flame takeaway following the incident where he then got into an argument with a 24-year-old man. Sancaster became involved in a physical altercation but was thrown out by takeaway staff before the situation escalated. However, he lay in wait for his victim outside the takeaway and 20 minutes later approached him to offer a reconciliatory handshake. The man went to shake his hand only for Sancaster to shout “kidding”, before punching the man in the face and wrestling him to the ground. 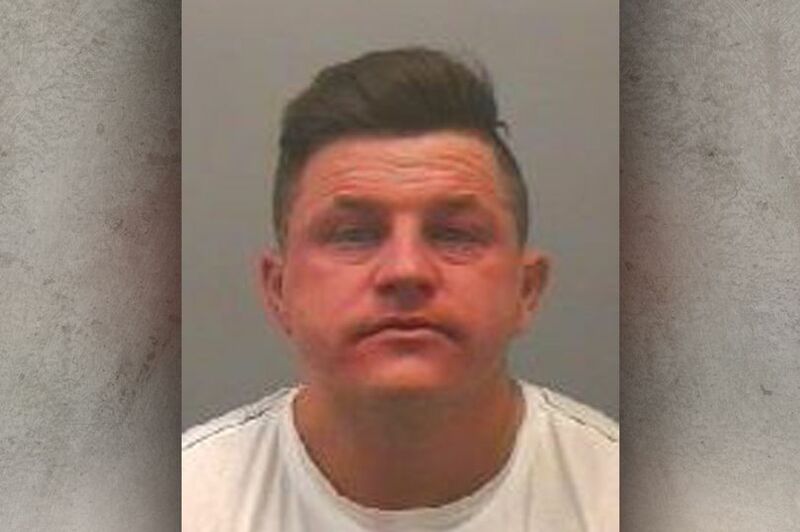 A court heard how a fight then ensued during which the violent thug sunk his teeth into the eyebrow of his victim and ripped out a chunk of it. Friends of the victim flagged down a passing police car who quickly attended the scene and Sancaster, of Marshall Street, Sunderland, was arrested. His shocked victim was left with blood pouring from the gaping three-inch wound that required stitches in hospital. Sancaster later admitted wounding with intent to cause grievous bodily harm and he was jailed for 40 months at Newcastle Crown Court. Following the case, investigating officer Detective Constable Matt Murray branded Sancaster a “dangerous offender” who deserved to spend time behind bars. He said: “Michael Sancaster had found himself alone in a bar in the hours before the attack and in my opinion was looking for a fight. “He had been thrown out of a bar for bothering a hen party and was angry when he made his way to the Magic Flame takeaway. “There he came upon his victim and his group of friends. He tried to start a fight but they were not interested in engaging with him. “Instead he waited outside the takeaway and sucker-punched his victim at the same time as they were trying to make peace. “This was an unprovoked attack that ended up with Sancaster tearing out a piece of his victim’s eyebrow with his teeth. “It is a violent assault by someone that I would describe as a dangerous offender.